Autoimmune Disorders is only available to members of Steven Horne's Member program. 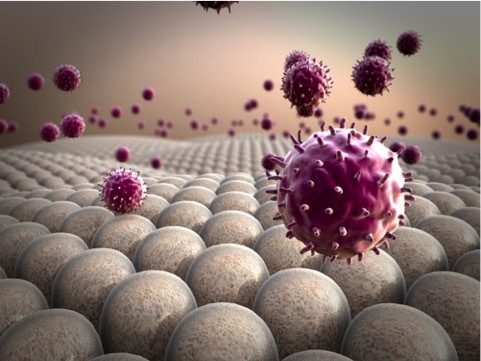 The human immune system is amazing in its remarkable ability to determine what is "self" and what is "non-self," or in other words, what is a part of the body and what is foreign to the body. It is able to tag what is "non-self" so it can be destroyed and eliminated from the system. This enables it to get rid of harmful viruses, fungus, bacteria and parasites. Unfortunately, the immune system can malfunction in its ability to distinguish between what belongs to the body and what doesn't. When this happens, the immune system starts tagging the body's own tissues for destruction. Like an officer acting on bad information can accidently attack and kill his own troops in what is ironically called "friendly fire," important body tissues are tagged and destroyed, resulting in the serious health problems known as autoimmune disorders. Some of the more common disorders that are thought to be autoimmune in nature are rheumatoid arthritis, lupus, celiac disease, pernicious anemia, vitiligo, scleroderma, psoriasis, inflammatory bowel diseases, Hashimoto's disease, Addison's disease, Graves' disease (overactive thyroid)and Type 1 diabetes. While medicine has not yet discovered the precise cause of these health problems, the dramatic rise in the incidence of these health issues suggests that modern diets, lifestyles and exposure to environmental toxins of various kinds are involved. In this Herbal Hour, we'll discuss the more common autoimmune disorders and some of their potential causes. More importantly, we'll talk about natural remedies that can help get the immune system working the way it's supposed to so these disorders can be reversed.